The annual 5 mile Menlo walk in aid of Ability West will take place on Sunday February 7. The walk will start at 12 noon from Scoil Bhride Menlo. This popular event in its ninth year has raised in the region of €50,000 for Ability West. 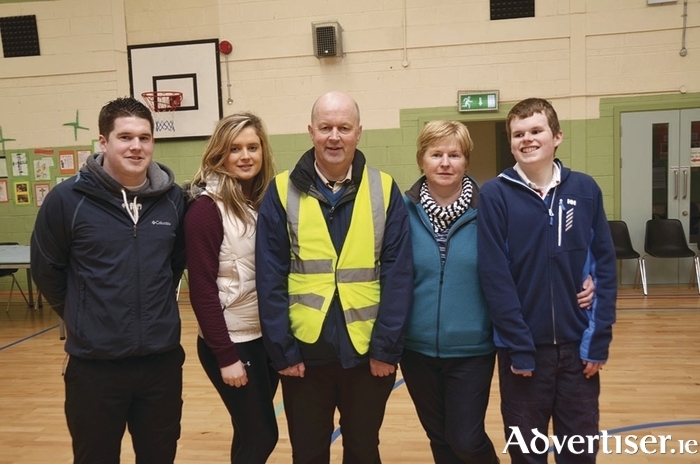 The walk is organised by the Kelly family whose youngest child Andrew has autism. Andrew attends St. Josephs Special School in the city, which is under the patronage of Ability West. Andrew who is now 17 also receives a respite service from the children’s respite at Whitestrand Lodge on Grattan Road. On turning 18 Andrew will transfer to the adult services of Ability West. The support services are vital to him and to the family. The walk is an important fundraising source because it enables Andrew to continue to have the services that he needs this year. Ability West provides services and supports to over 530 children and adults with an intellectual disability, in 55 locations throughout Galway city and county. Services include day, residential, respite, rehabilitative training, supported employment and community support. It is only through the continued support and generosity of the public that they can continue to deliver a high quality service well into the future. All proceeds from the walk on February 7 go directly to the funding of capital projects, such as the purchase of specialised equipment, transport, and the refurbishing of buildings. In the past seven years Ability West has received no major funding for such projects and have had to rely primarily on voluntary fundraising. “It is a lovely day out, a nice walk around Menlo with plenty of tea and refreshments afterwards,” explained Ray Kelly of The Galway City Branch of Ability West. A walking fee of €10 per person or €25 per family is payable on the day. For more information phone Ray on 087-7694153 or Brega on 087-6179886. Christmas Quiz, all the answers.